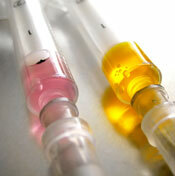 Finding your terrier mix a veterinarian is an important step in being a responsible pet owner. Find one online, in the yellow pages or through a referral. Whether it be through a friend, animal shelter worker or dog groomer, sometime a good place to start is with a fellow animal lover. Check credentials and compare factors like location, cleanliness and staff disposition. But saving money is a priority for many of us, and there are ways to save money in one of the most expensive areas of your dog’s life. Compare costs for preventative care, just like you would for any other major purchase. Check to see if the vet offers any discounts for seniors, veterans or anything else that may apply to your situation. A vet will do you no good if it’s outside your budget. Don’t skimp on the annual exam. Keeping ahead of any illnesses is better than treating them. And treating illness is more expensive than preventing them. Put down the smokes. Quitting is great for you too, but if you’re not quite there yet, at least avoid smoking around the pooch. Second-hand smoke can cause lung cancer, lymphoma, bronchitis and asthma. Think about getting pet health insurance. Just like for humans, you can pay a periodic premium payment that will cover your terrier’s medical costs when they get ill. If you think that emergency care or a serious illness can put a strain on your pocketbook, look into insurance. Providing your dog with identification is an important step to ensure their safety. Dogs find themselves away from home without supervision for a multitude of reasons, and proper ID can make the difference between finding their way back or not. Even the most careful people can find themselves an owner of a lost dog. A collar with an ID tag is a good step to take. Make sure the collar is not too tight around the dog’s neck. If you can slip a couple fingers under the collar, you probably have a good fit. On the identification tag, include your phone number at the very least. Your name, address and email address are other good pieces of information to have on the tag. 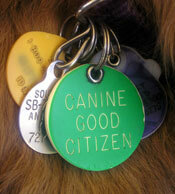 These tags can be custom made at your local pet shop fairly quickly and inexpensively. Microchipping your terrier is another good measure to take in case the collar goes missing. This procedure, done by a veterinarian, inserts a microchip about the size of a grain of rice just under the skin. Your pet is given a registration number, which is stored in one of several pet registries. If your dog gets lost, a vet can use a handheld scanner to find the registration number and the phone number of the registry. For a high-energy dog like a terrier, getting exercise is very important. There are host of benefits of your terrier’s exercise including improved bone, joint, lung and heart function. Getting exercise also releases some of the pent-up energy that terriers accumulate daily. Releasing that energy results in a dog that rests better and is less anxious. Many behavioral and emotional problems, in additional to physical problems, stem from not getting enough exercise. You may also find getting your dog active is a good way for you to get active as well. The most obvious source of exercise is a daily walk or walks. 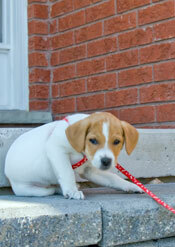 Some terriers live in homes with doggie doors or a fenced in yard where they are just let out to do their business. While this is very convenient, you may be missing out on getting your dog exercise and sharing some good bonding time. Taking the time to go on a walk with your dog lets you do both. Twice a day does the trick for many terriers and their owners. Games are another great way to get your dog some exercise. The game of fetch is a tried and true classic – just make sure to go for distance rather than height when throwing. A high jump coupled with an awkward landing can make for an unintended injury. Seek is another good game. Take a treat or toy, show it to your terrier, and place it just out of sight (but nowhere too hidden). Let your dog go an find his reward in a game that will exercise both mind and body. Keep being creative with your play time to give your terrier the exercise he or she needs. Most of a terrier’s weight is composed of water, just as it is in humans. While you may be saying to yourself that thinking about a dog’s water may be overthinking it just a bit, it is very important to be aware of your pet’s water supply. One issue is quantity. The best thing to do is to have a water supply available so that they can regulate their own supply. A 2.5:1 water to food ratio is a good rule of thumb. Another issue is quality. While home tap water is considered safe in many areas, it is best to check for contaminants for your dog’s (and for that matter, your own) safety. Bacteria such as Giardia are a common problem. High levels of nitrates, iron and magnesium can also be harmful. 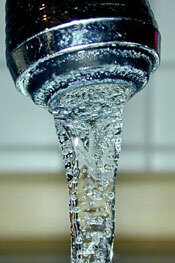 If these are problems where you live, filtered or bottled water can be a good solution. The dish your terrier drinks out of is another thing to be aware of. Water dishes should always be kept clean. Stainless steel and stoneware dishes are easier to clean and resist scratches that can promote bacterial growth.